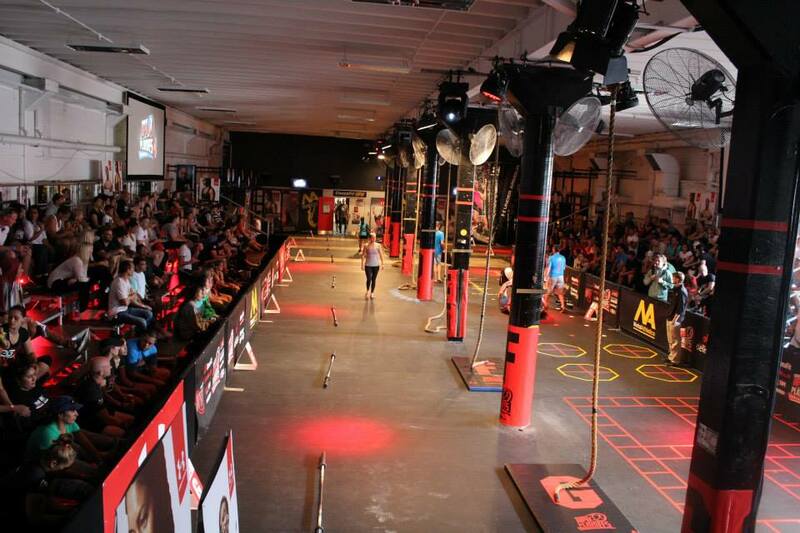 A while back I put my hand up to help out at the CrossfitHPU play off’s as a judge. Last week I attended my judges course (yep an actual course), Friday night I picked up my official judge’s shirt and my timetable (it’s a tight run ship, that’s for sure). I had asked G (Head Judge) to stagger J and I so that my parent’s didn’t have to look after the kidlets for too long, so J was rostered on for WOD1 at the Waitakere Trust Stadium and I was to go in to HPU for WOD2. I hung out with the kidlets for the morning and kept up to date through instagram and text updates. I left home as the RX heats were starting at the stadium and when I arrived at the venue, I nabbed a “somewhat creative car parking space” and had a bit of a nosey around before the rest of the judges turned up. The arena had disco lights, a dj booth, large screens with a live feed, smaller screens with wod updates and grandstand seating. Ringside had been set up with massage tables and a holding area for the competitors, the circuit room had mobility sessions (run by the corrective clinic) and an area where they could get strapped up by Rocktape, and a chill out zone with space invader machines and sofas. 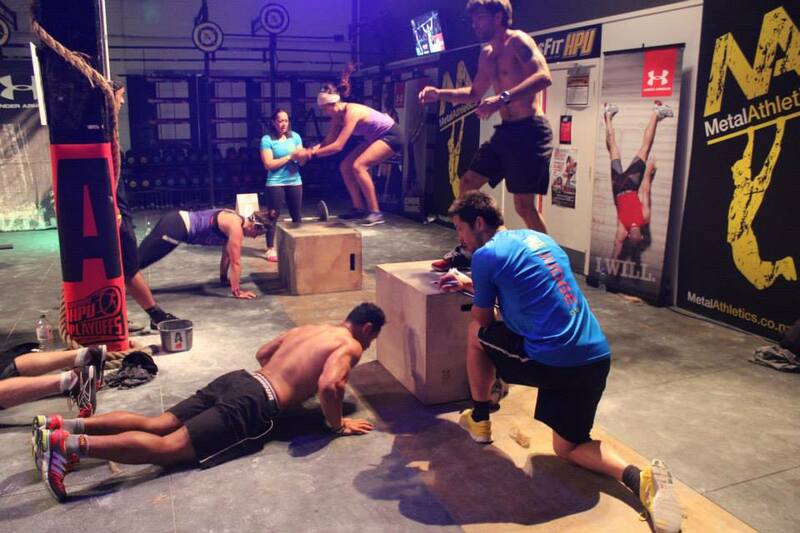 This is certainly not your “average” competition – this is a mini crossfit games! 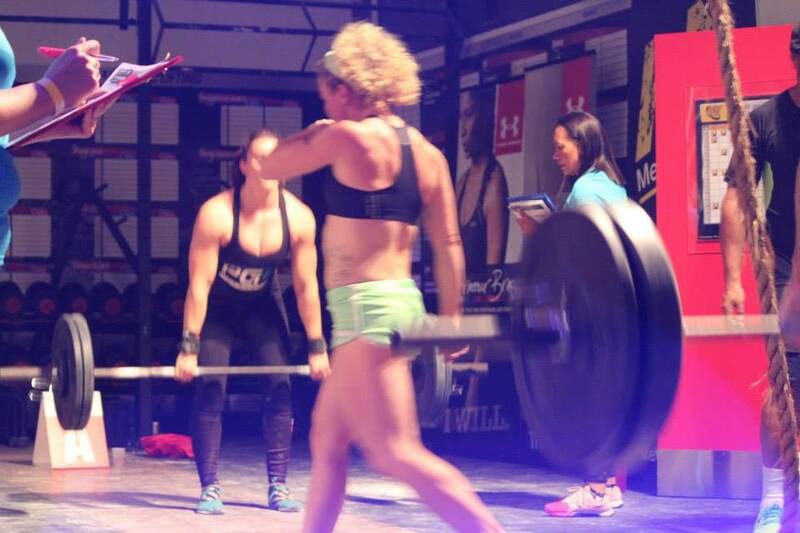 When G arrived we got put into our judging teams and assigned to a station, we were to stay on that one station for the duration of WOD2, 12 heats in all with 2 mini breaks while the officials changed the weights for each division. The turn around was quick and athletes came and went, some were nervous, some were excited and some had their game faces on and were ready to go but all of the athletes that came up before me were lovely even when they heard the dreaded “no rep” call. My voice was on it’s last legs by the time we got to WOD3 and unfortunately (for me) the rep count for that WOD was huge, but I tried my best to be as loud as I could so the athletes could hear me above the noise of the area and the booming music. Apparently some of my athletes got grumpy on the inside (so I found out today), but no one showed it on the day, well at least not in my bay. I did however hear stories from other judges about teams that could have used an attitude adjustment, so much so that it put them off ever judging again. I didn’t have any problems with the athletes in fact I was talking to J yesterday about how I thought the team dynamics were amazing. I explained it was rare to see a team where the pairs were equal. 90% of the time there was 1 strong member and 1 member who struggled. BUT not once did I witness the stronger team member get frustrated or annoyed at being slowed down. Every single one of them was patient. They encouraged, they calmed their partner down when they were floundering and helped with technique. Then if/when their partner could not go any further they consoled them. It was truly heart warming to see. I on the other hand had “other issues”. Let’s just say it got a tad annoying when the head judge would tell you one thing and 2 seconds later an official would come over and say something completely different. So yeah – I might pass on the opportunity to get my head bitten off next year, I’ll try and get into admin team and collect score sheets (they got pink shirts too!). NOW I’ll get onto the one question that nearly every single person has asked me in the past couple of days ..
No – watching the play off’s did not make me want to compete, it actually just solidified the fact that I’m no where near proficient enough to even consider competing . I refuse to be “that lady” who asks “but what happens if you can’t do pull ups?” numerous times at the athletes briefing. Honestly what was that woman thinking? ..
PS – HPU came 1st and 2nd in the Masters, 1st in the Intermediate and RX divisions. 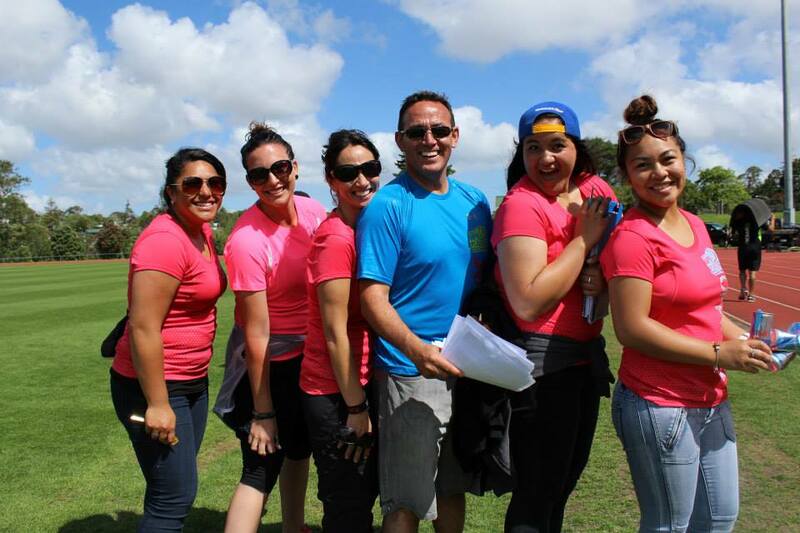 PPS – For more photos of the event check out the albums on the Talent Photo facebook page. PPPS – For video footage check out CrossfitHPUs Vimeo page. Next story Running? Again? Why? Because I can’t? Well that’s stupid! But I get cake? Oh ok ..